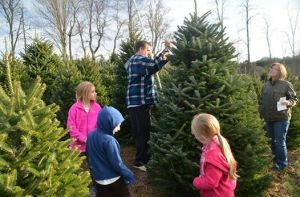 Tom Sawyer’s Christmas Tree Farm and Elf VillageBegin your Holiday Adventures here! Choose ‘n Cut the perfect Fraser Fir Christmas Tree (or we’ll cut one for you) and experience our magical Elf Village for family fun and holiday festivities for everyone. The Horse and Carriage Rides will not be available Dec 21 and 22, 2014. 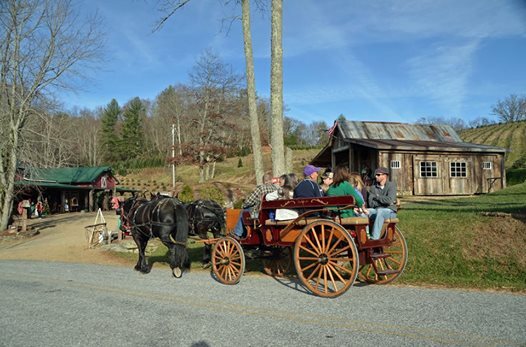 Due to unforeseen circumstances, Horse and Carriage rides will not be available Dec 21 and 22, 2014. Horse and Carriage rides will be offered Friday, Saturday, and Sunday after Thanksgiving, and then every Saturday and Sunday thru Dec 14th. (Nov 28,29,30, Dec 6,7,13,14). $5 per person, weather permitting. No reservation needed. You can purchase tickets at the welcome booth or in the shop. A fantastic day to find a fantastic tree! If your tree was cut more than 4 hours ago, saw a 1” straight cut off the trunk and immediately place in water. Place tree in a stand that can hold at least 1 gallon of water. Water the new tree as often as necessary while it continues to soak up water, and never allowing the base to dry out. Plain water is best for keeping your tree fresh. Check for worn Christmas tree lights and electrical cords and always unplug the tree at night. Use UL approved electrical decorations and cords. Using miniature lights will produce less heat and reduce the drying effect on the tree or any chance of a fire. 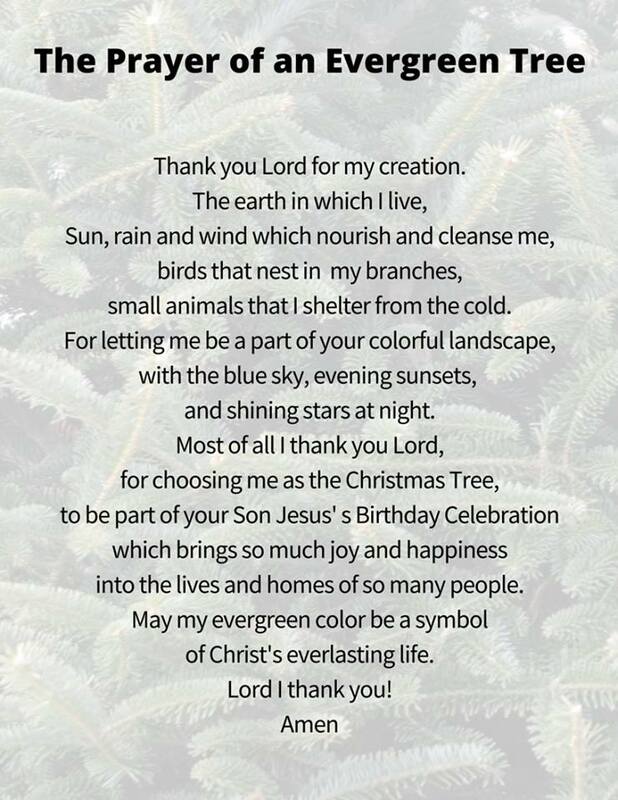 We Love Being a Part of your Holiday Traditions! Whew! We had an incredibly busy and fun 2013 holiday season at Tom Sawyer’s! 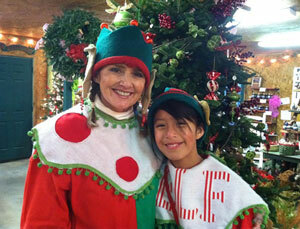 The Tom Sawyer Tree Farm and Elf Village is open all weekend for family fun and holiday cheer! Holiday Fun for All Ages! 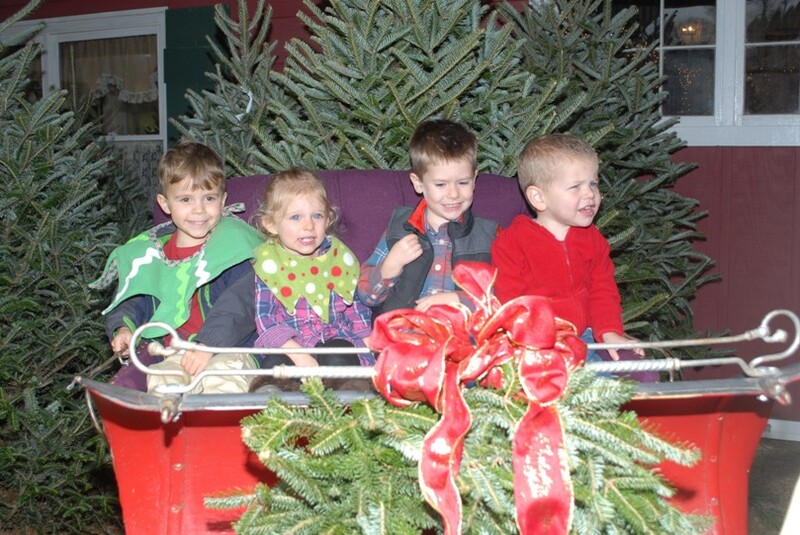 The very young, along with the young-at-heart, celebrated together last week at Tom Sawyer’s Christmas Tree Farm and Elf Village.